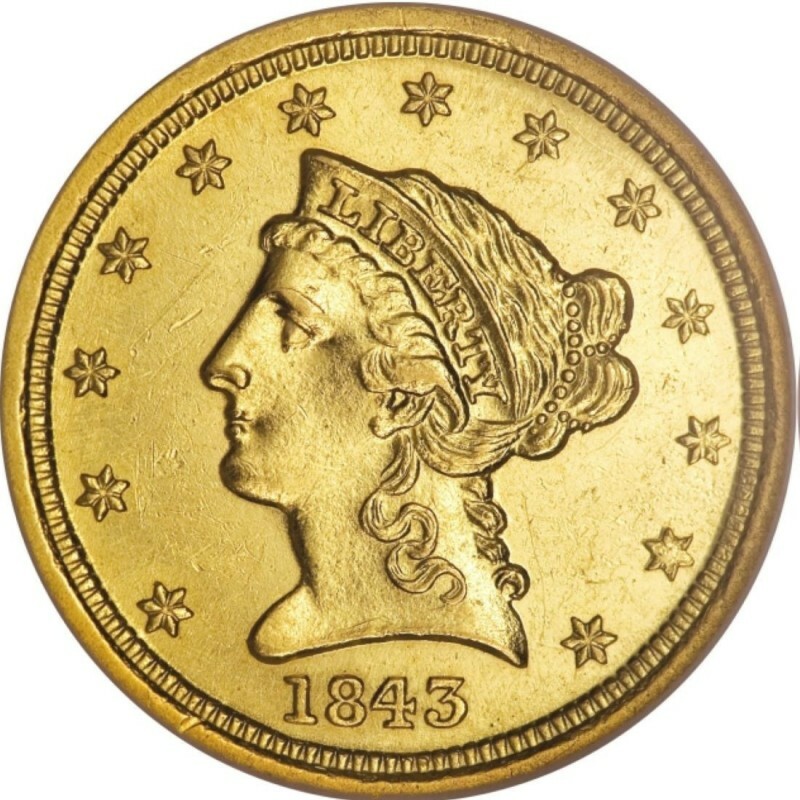 1843 Liberty Head $2.50 gold coins are popular collectibles among numismatists who enjoy classic 19th-century coinage. 1843-dated quarter eagles were minted at the Philadelphia, Charlotte (C), Dahlonega (D), and New Orleans (O) mints and were struck in varieties noted by both the size of the date and the appearance of a crosslet (a serif-styled element) on the digit “4” in the date. *Values are for coins grading Very Fine-20, unless otherwise noted. All 1843-C and 1843-D quarter eagles are highly scarce today, even though their mintage numbers are well into the tens of thousands. Numismatists must remember that the vast majority of these old gold coins were melted down or lost to time due to attrition in circulation and, thus, only a handful of these coins still exist. Liberty Head quarter eagles consist of a composition that is 90 percent gold and 10 percent copper – the ordinary “coin gold” mixture for gold coins of the time period. 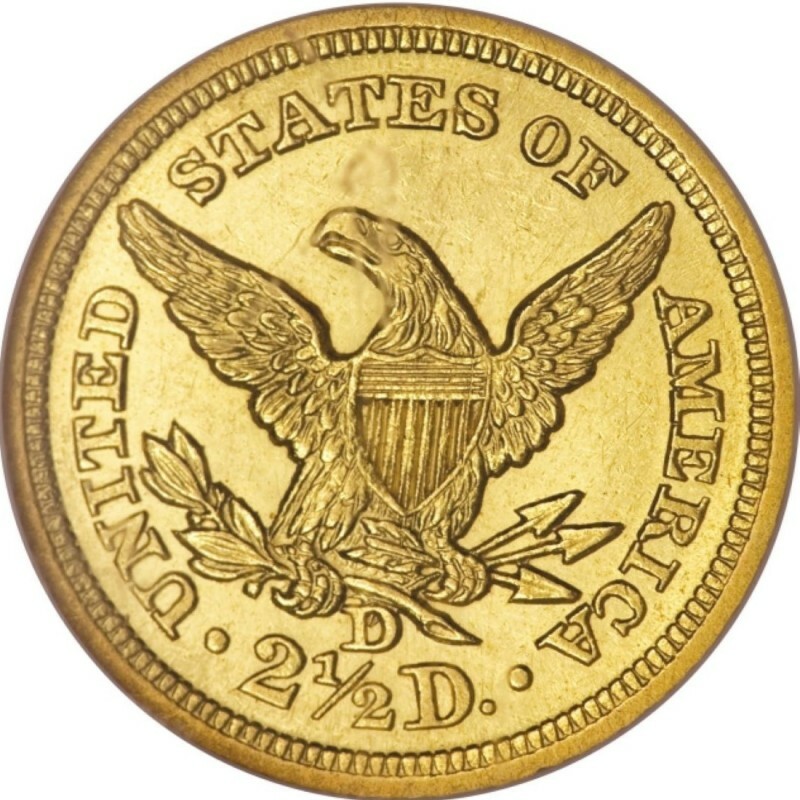 In particular, 1843 Liberty Head $2.50 gold coins weigh 4.18 grams and have a diameter of 18 millimeters, which means they are about the same width of a standard dime. These gold coins contain a total of 0.1202 ounces of gold. 1843 O Small Date $2.50 Gold Qtr Eagle New Orleans NGC F 15 NO RESERVE! 1843-C LARGE DATE $2.5 LIBERTY HEAD QUARTER EAGLE ~ NGC XF 45 ~ CHARLOTTE MINT!